See an accountant and tax agent as soon as possible if you are starting a business in Carlisle. When HM Revenue & Customs talk about you having a tax adviser, they mean accountants like us. We can prepare your accounts and submit your tax return, and if you see us sooner rather than later, we can guide you in avoiding penalties and keeping your tax bills down to sensible levels. If you are starting self-employment, that is the same thing as starting a business. We can advise you on whether or not you should start as a company, on taking on employees, and on VAT registration, and help you not to do things which are inappropriate. We recommend that you see an accountant quickly if you have already started as a company so you don't waste your personal allowance or an opportunity to pay dividends. Our use of advanced new technology makes us both affordable and fast. We are based in Stanwix, serving Carlisle and North Cumbria, and prepare professional accounts with a personal touch. We quote competitive fixed-fees in advance. Please contact us for a free first consultation. When we meet you, we will assess your requirements and then we will give you a quote at once based upon estimated turnover and other details. 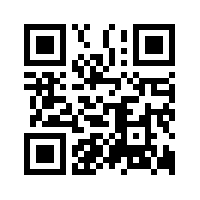 Have a look at our special mobile-friendly website for new companies, which is also accessible via QR codes. is one of our ambitions, and we work all the time on the development of fast new technology to do it. We can arrange a meeting, discuss what you require, and then give you an immediate firm quote using the latest technology. if you don't like bookkeeping. Just give David Porthouse & Co all your records and let us get on with it. David Porthouse & Co have all the latest technology and are perfectly happy for you to do as little as necessary. If you have cash takings then you will need to keep a daily record of them, but otherwise we can do everything. Press or click on the box for our standard mobile-friendly website. This website has a front page which is appropriate to the time of year and it is intended mainly for sole traders and partnerships, which together are known as unincorporated businesses. We have another mobile-friendly website for new companies. Our Google+ page has news of upcoming deadlines for businesses in Carlisle and North Cumbria. You can't just help yourself to company cash. You need a payroll scheme or dividend paperwork. It is best to start on this as soon as possible. We can set up a payroll scheme for you to make some use of your personal allowance. Dividend paperwork is done quickly on our spreadsheet system, and is normally a free extra service because our system makes it easy.